On Saturday night a new star from Donegal will make her debut on television when she appears on Ireland’s Got Talent on Virgin Media 1, and she could well indeed raise a few eyebrows. Lucy Lashes is the alter ego of John Campbell who hails from a small rural parish in Donegal and originally created “Lucy Lashes” eight years ago as a singing drag act. Lucy has been exceptionally popular around the country and back in 2012 received the much-envied accolade of drag queen of Arranmore Island. 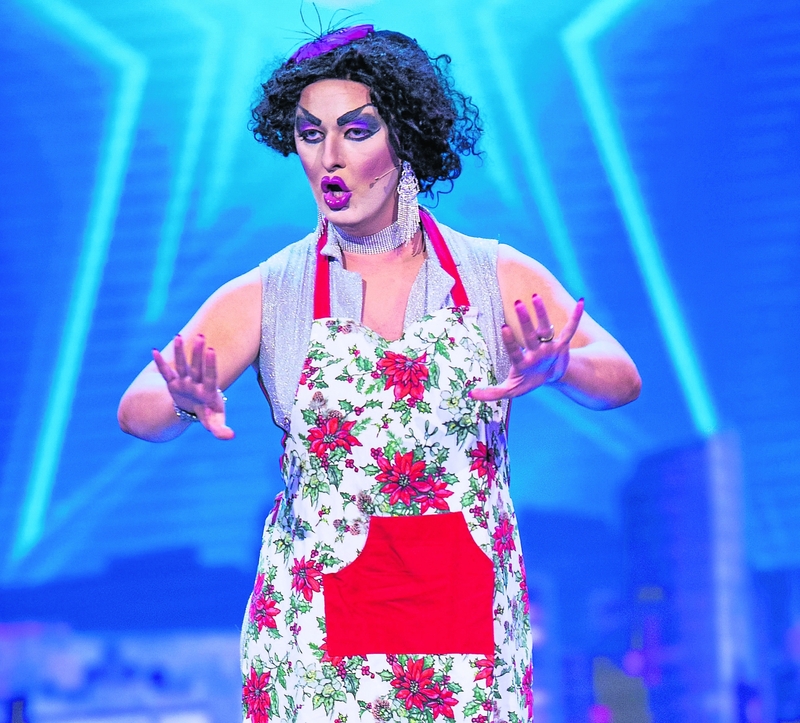 She has since appeared at LGBT nights in Donegal at her Rocky Horror night in Club Ella in Letterkenny and remains very popular on the hen party, stag night and corporate events circuit. Lucy moved to Dublin three years ago. She has been working as a drag artist for the past nine years and has loved absolutely every second of it. Her husband and friends are her biggest fans but she also has family in London who have never seen her show yet. Saturday night will be her opportunity to shine in her audition and informed sources in the entertainment world have said that she is “just simply hilarious”.